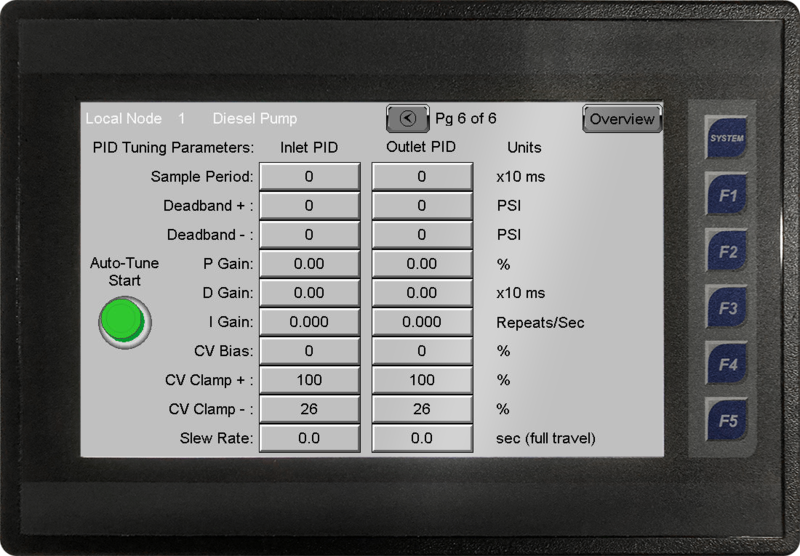 A PumpMate Node consists of a PLC System with Touchscreen Interface with License Free Wireless Communications designed and pre-configured for flexible modular control of Pump Strings. 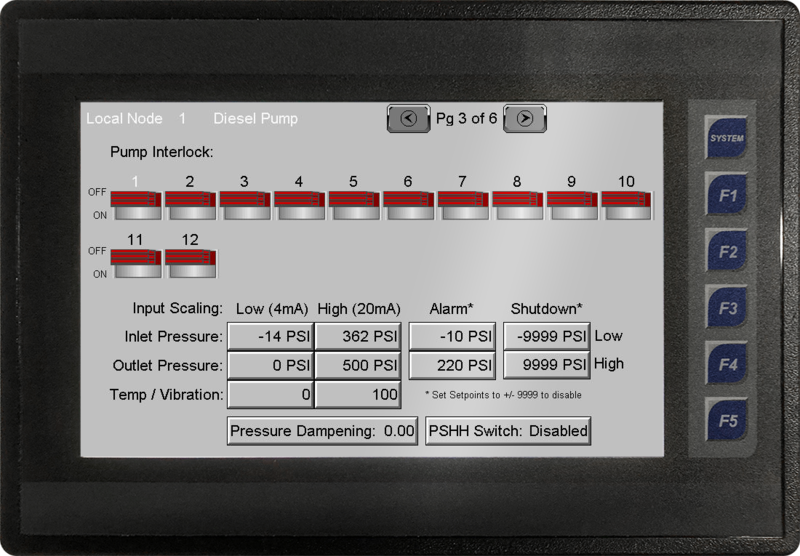 The PumpMate system can be completely field configured via menus on the color touchscreen HMI. 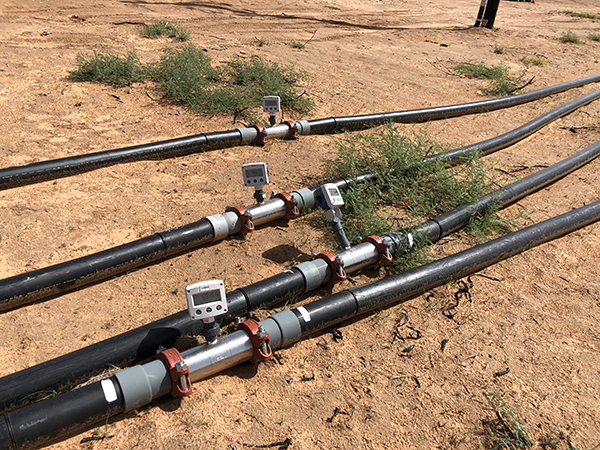 Once properly configured, the complete Pumping System can be controlled from any the the PumpMate Nodes. 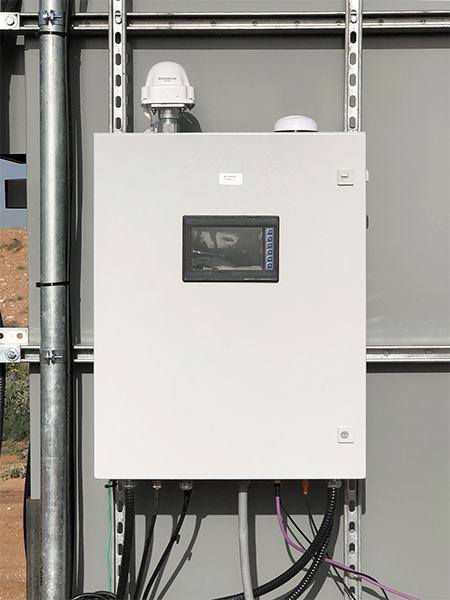 Each PumpMate Node can configured to connect to a VFD Driven Pump, or Diesel Engine Driven Pump, or used strictly as a Metering Node. 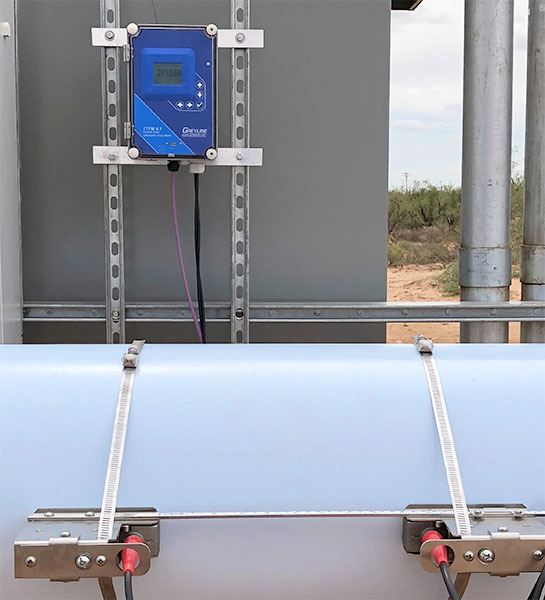 Each PumpMate Node allows remote Starting/Stopping of Pump, ESD the Pump System, and Changing the Pump Speeds; and Monitoring of Pumping Operations including Run Status, Inlet/Outlet Pressures, Outlet Temperature, Outlet Flow, and 3 Auxiliary Flows and Levels. 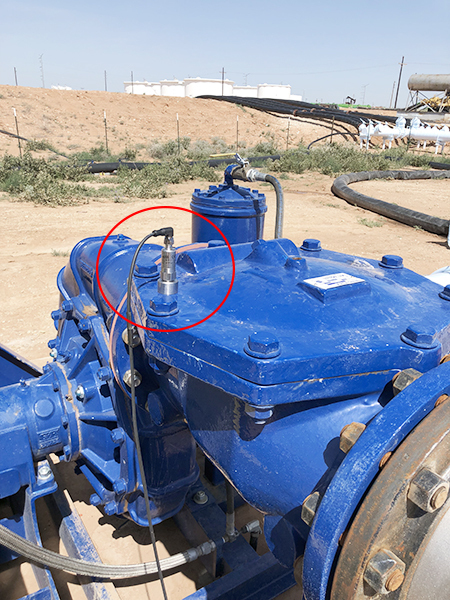 Each Pump can be interlocked to any Pump in the System. 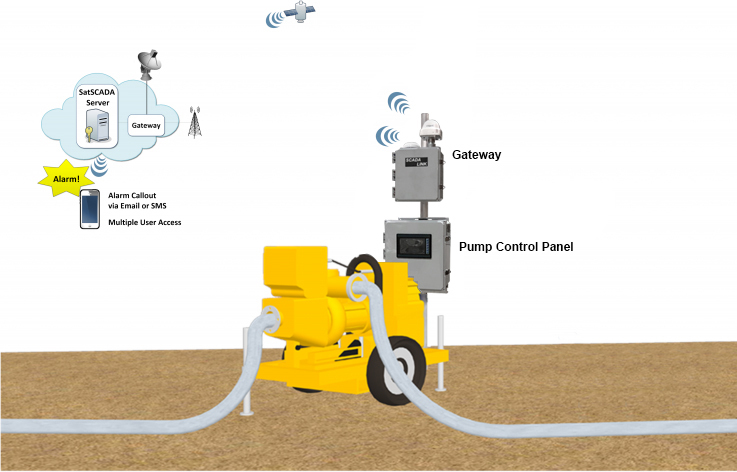 License Free Wireless Communications Technology is used in the PumpMate system to connect the Remote PumpMate Nodes. 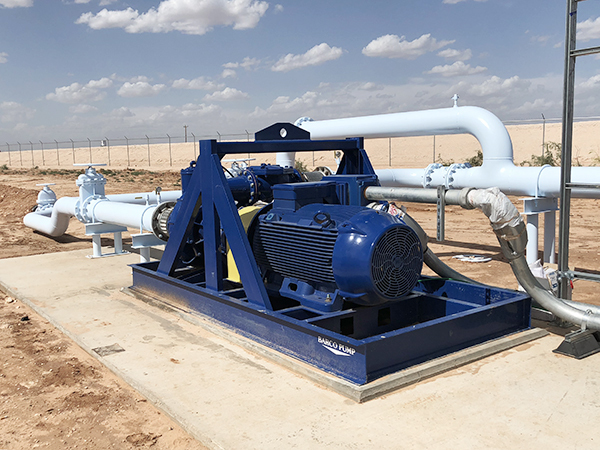 It is recommended that a PumpMate Master Node be located at the first inlet pump, or at a central site with the most stable power source. 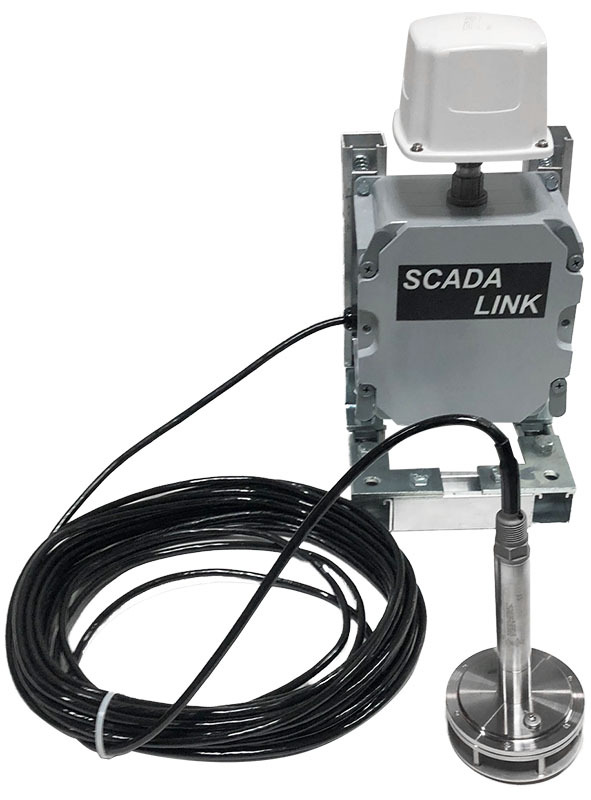 The PumpMate System can be connected to WAN/Internet via a SatSCADA SAT130 Gateway to allow SatSCADA or third Party SCADA System to Access to monitor a complete PumpMate Network. 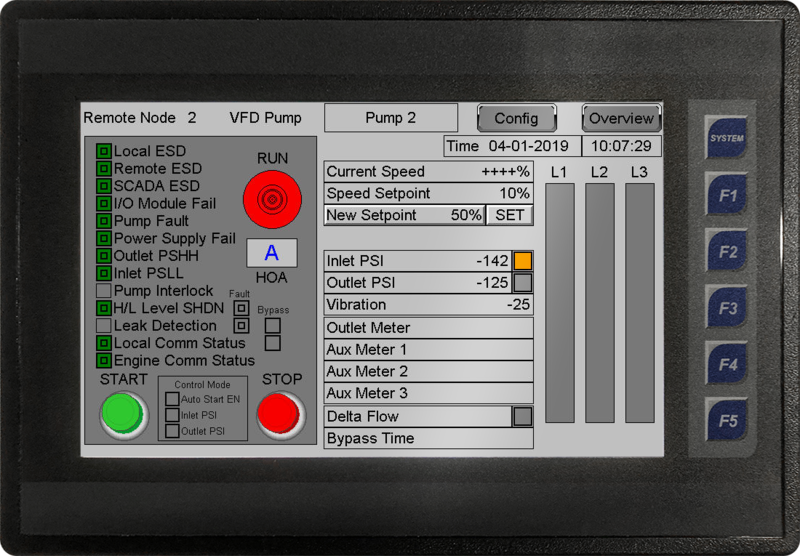 PumpMate can monitor and control VFD driven Pumps via I/O (DI, DO, AI (4-20 ma), AO (4-20ma); and Modbus (RS485, Modbus TCP) protocols interfacing. 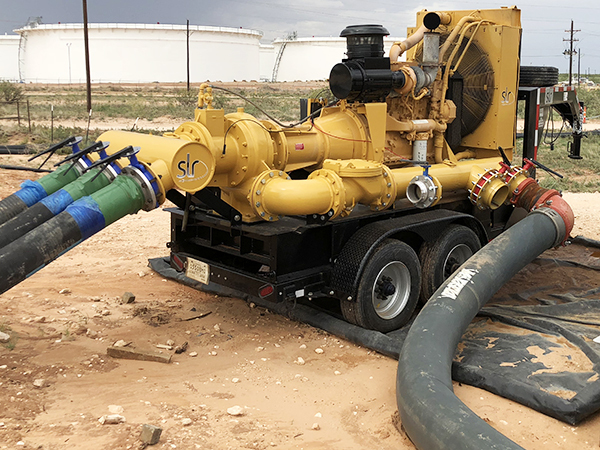 PumpMate can be used for portable or permanently installed pump systems. 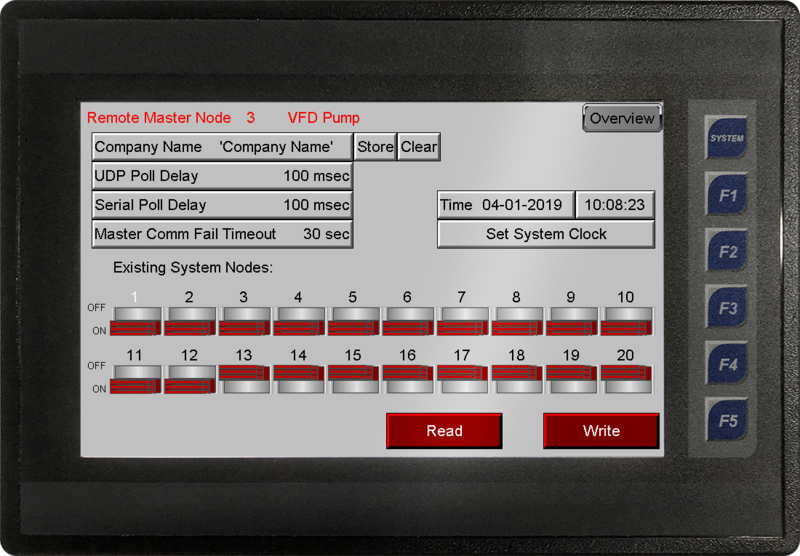 PumpMate can interface to Pump Skids that utilize commonly used Pump Controllers via RS485 Modbus, and Ethernet (Modbus TCP) and I/O Port connectivity. 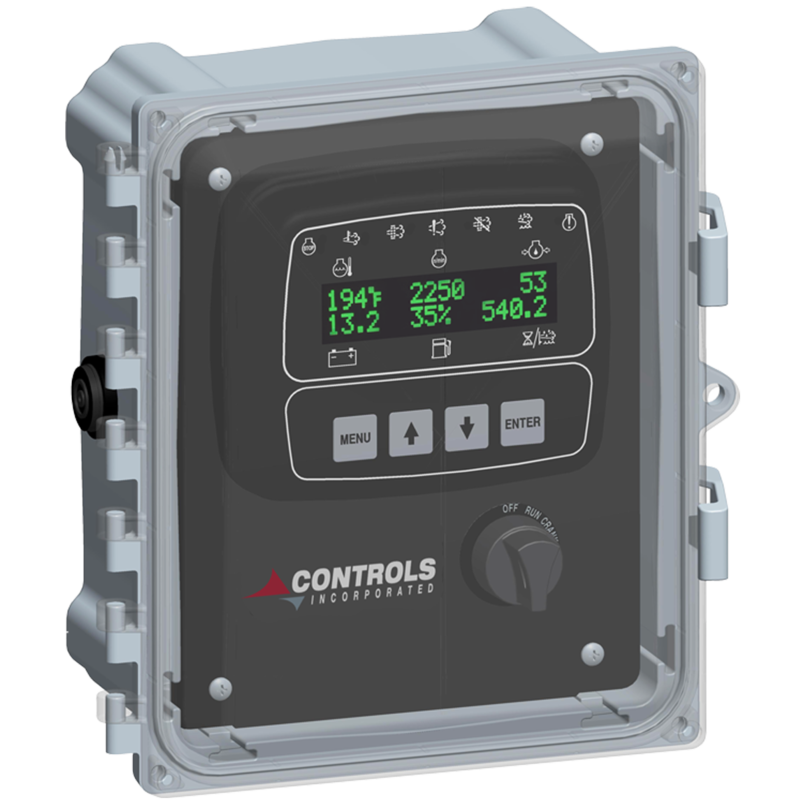 Each PumpMate HMI features a 7″ Water Resistant Color Touchscreen Interface. 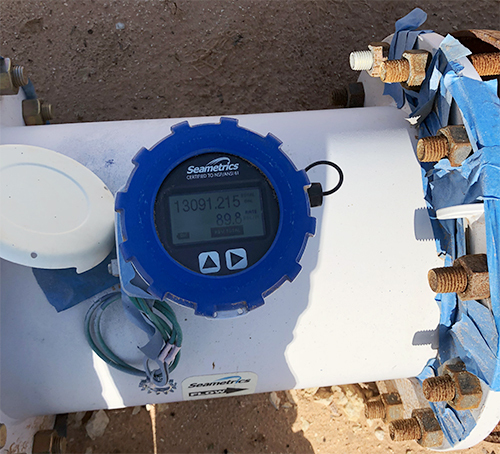 With the PumpMate System, any pump and the complete pumping system can be monitored and controlled from any other pump. 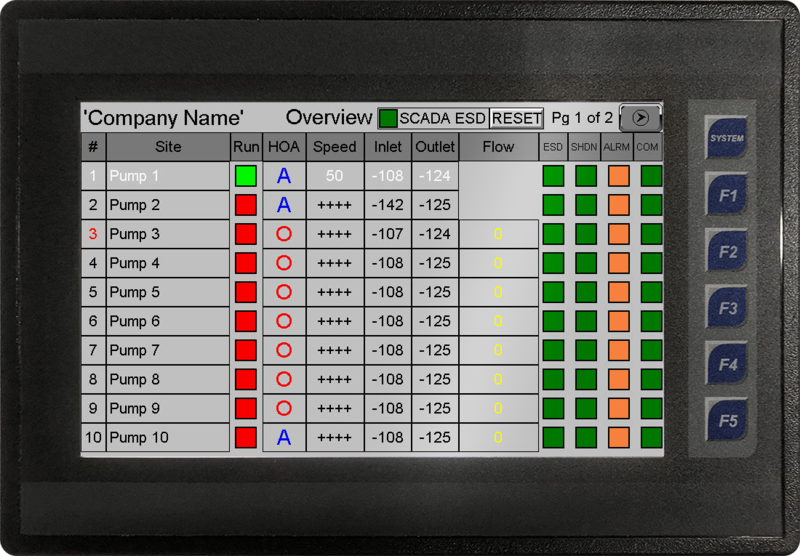 The Overview Screen shows the status of all nodes in Pumping System in a tabular fashion. 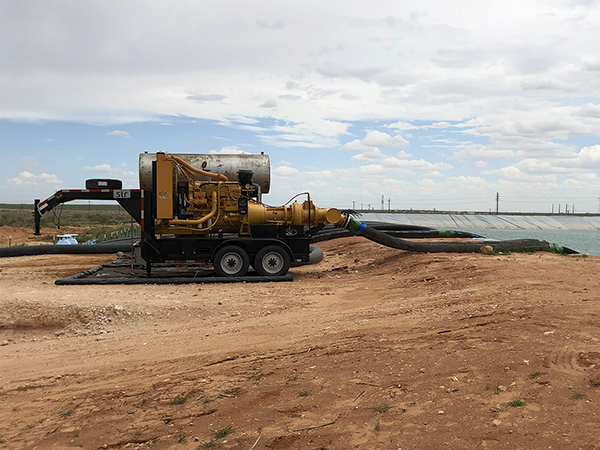 To see details of specific Node, press the Name of the Specific Node. 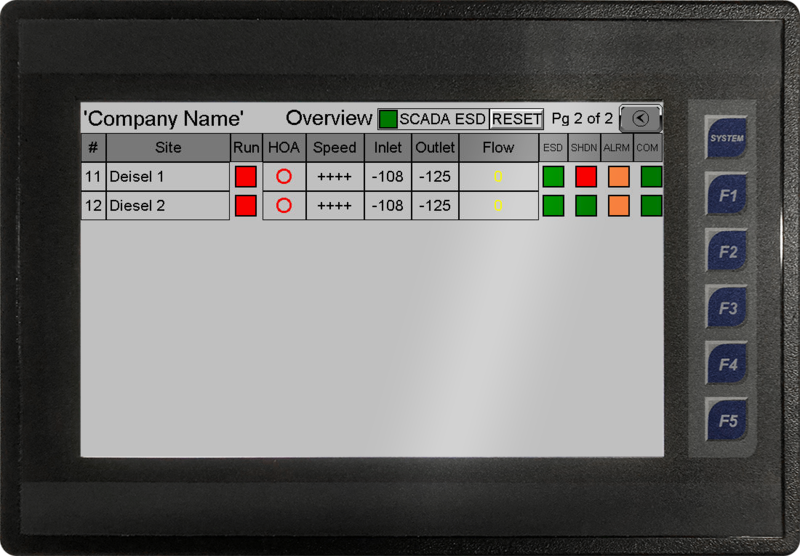 Up to 20 Nodes can be shown on 2 Pages. The local node that you are presently at is displayed in white text. 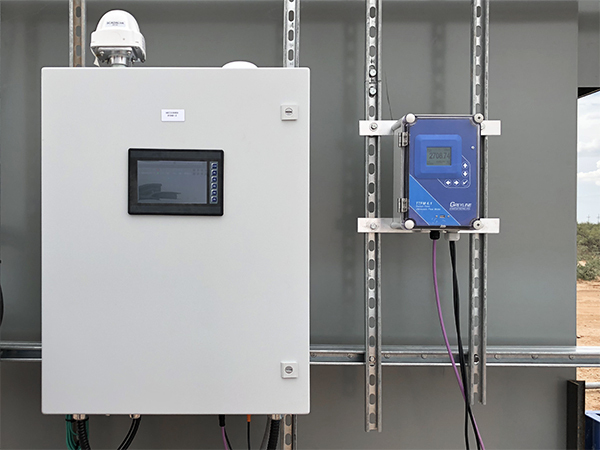 Each Pump Node screen shows the detailed status of node and allows remote control of the Node. 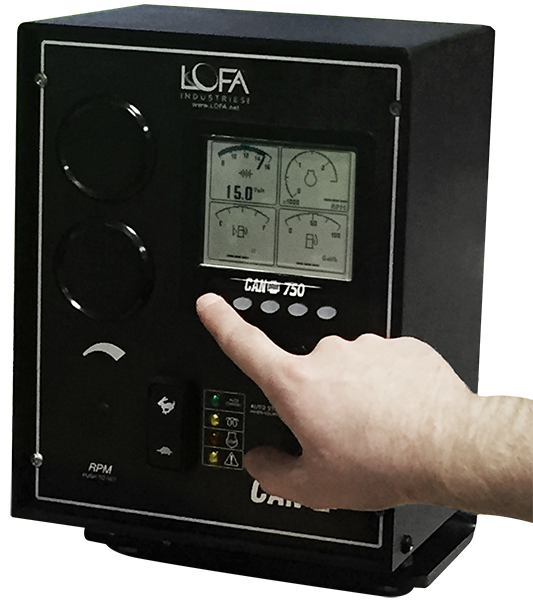 HOA Status (Hand, Off, Auto) will be displayed. 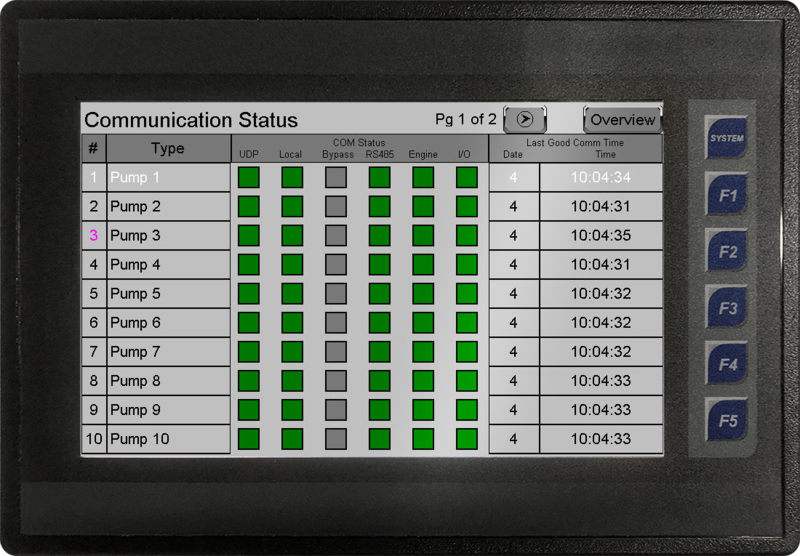 Interlocks are displayed. 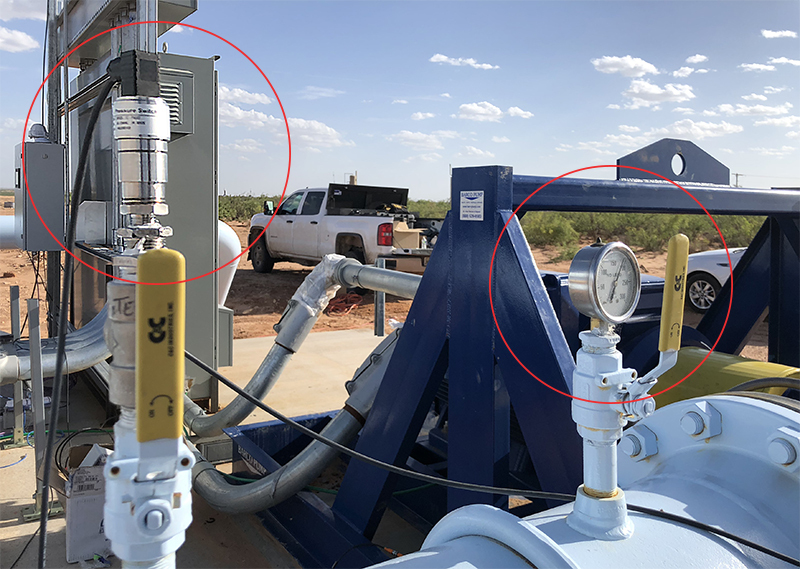 Pump Operation including Inlet Pressure, Outlet Pressure, Outlet Temperature, VIbration, and Flow is shown. 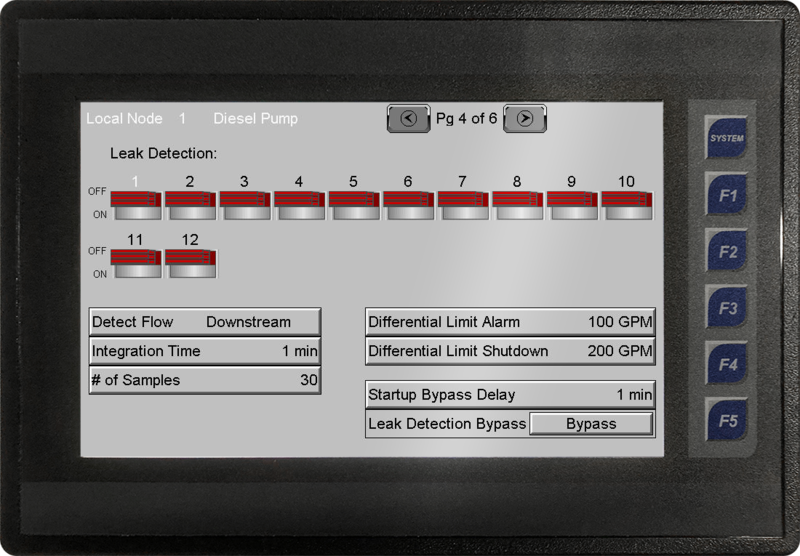 From this screen, the Pump can Started or Stopped; and the Speed Setpoint changed. 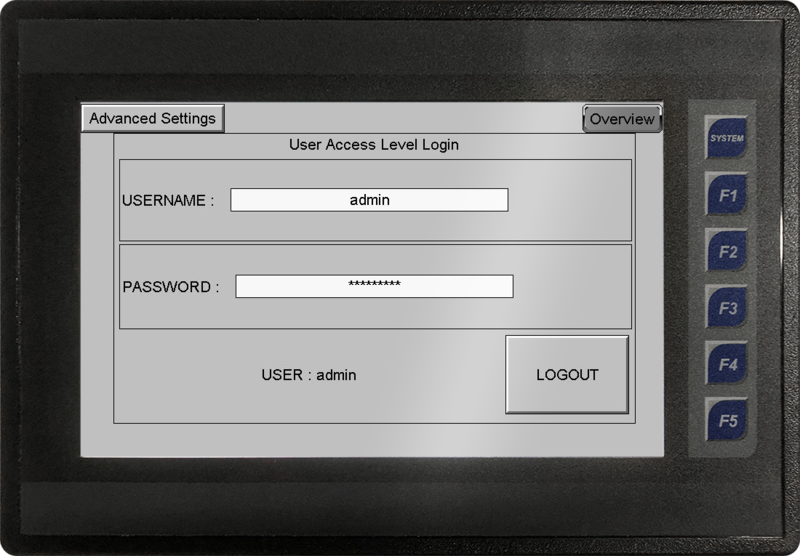 The Configure menu enables Configuration of the Node. 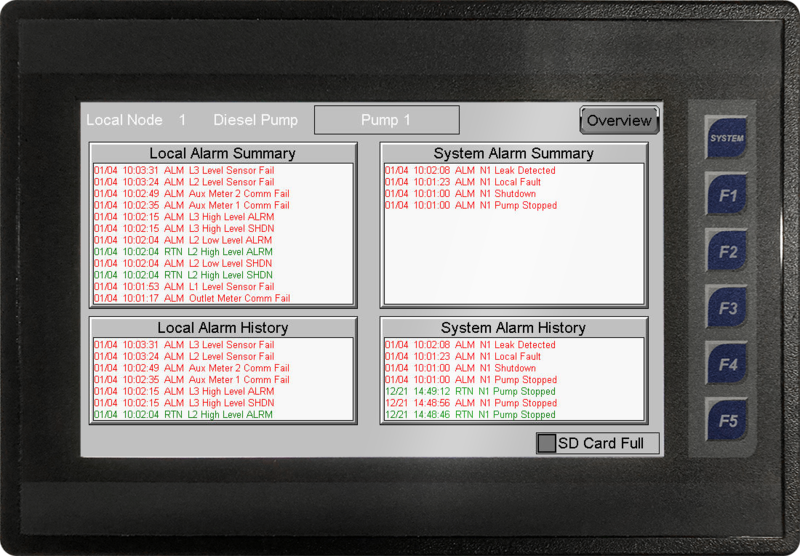 The Alarm menu allows display of Alarm History of the Node. 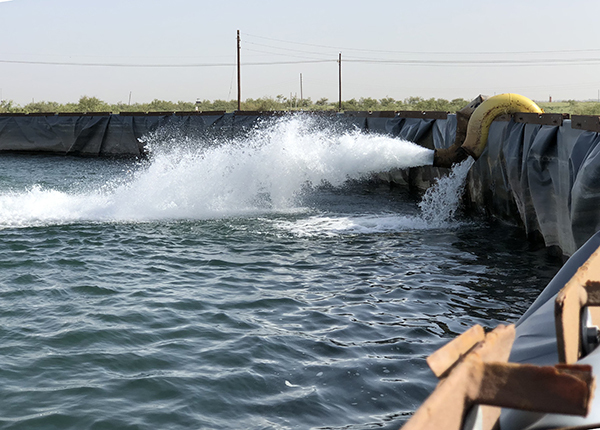 Selecting Overview returns back to Overview Screen. 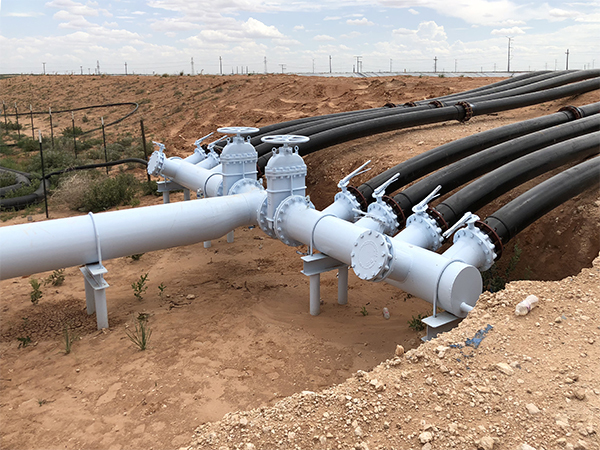 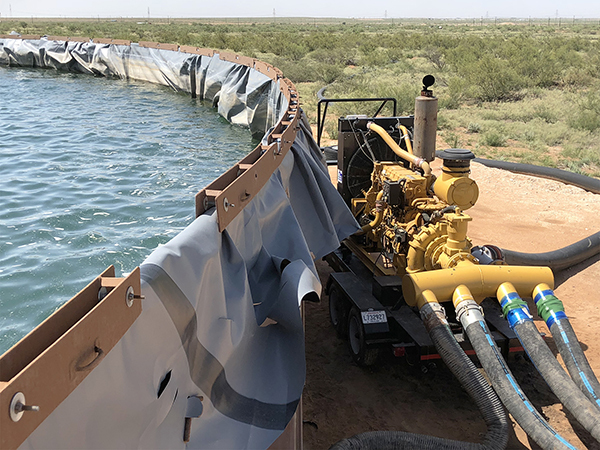 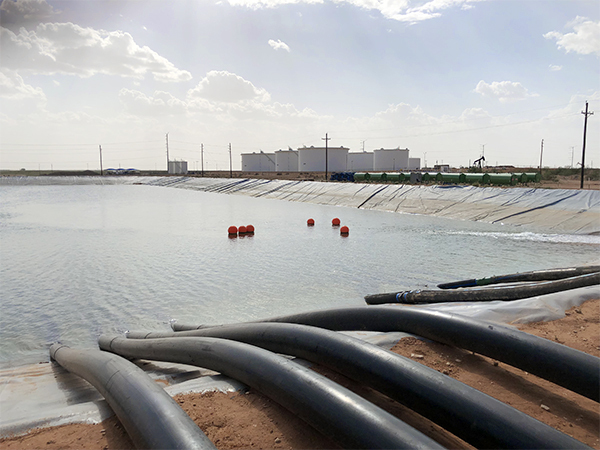 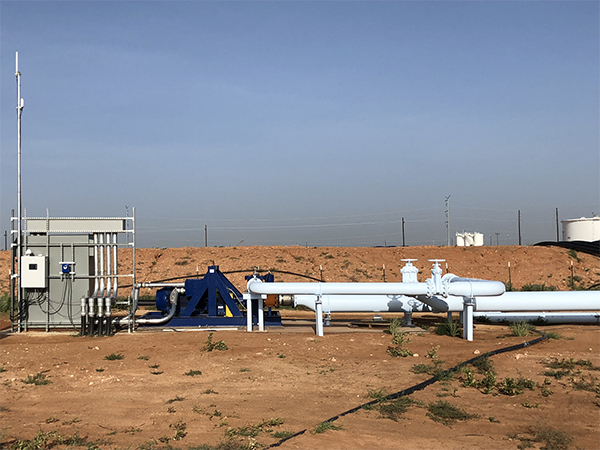 The Pump Configuration Screens enable configuration of Node Type (Pump, Engine Driven Pump), Flow Flow Meter Type, Pump Interlocks, and Leak Detection Parameters. 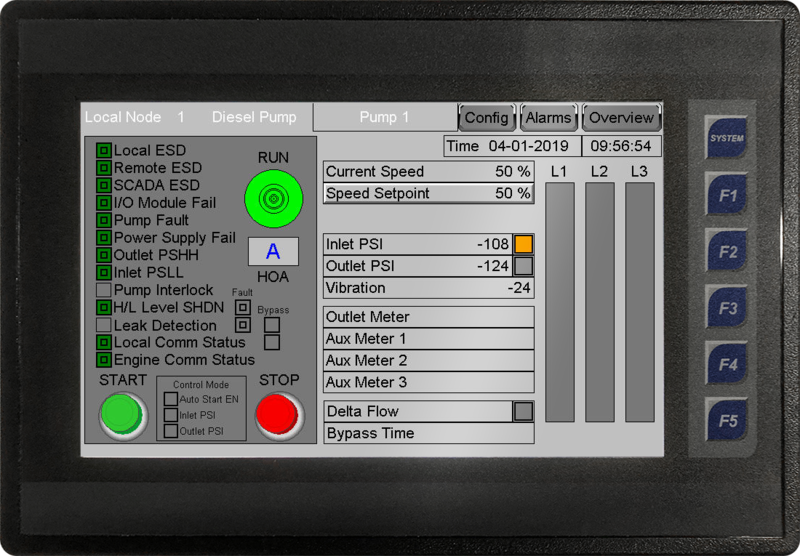 When the Pump Node is displayed in White Text; it indicates you are editing the local node. 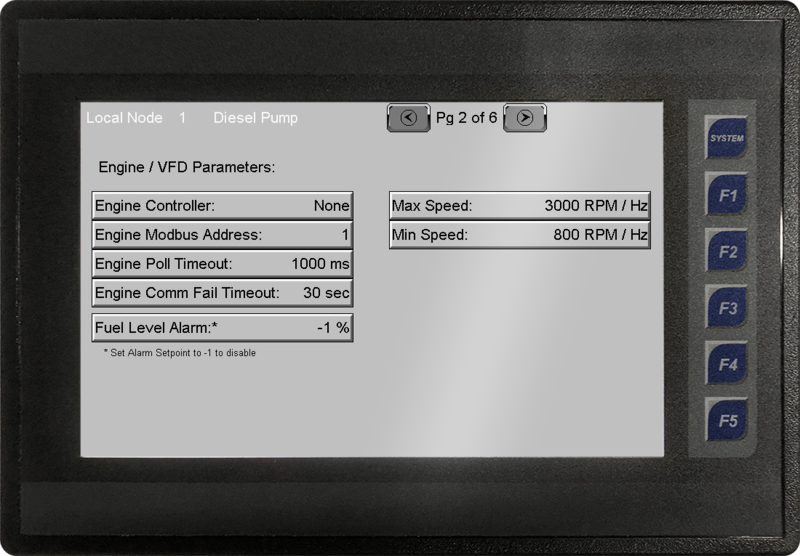 The Pump Node Alarm Summary Menu is display Alarm Summary and History. 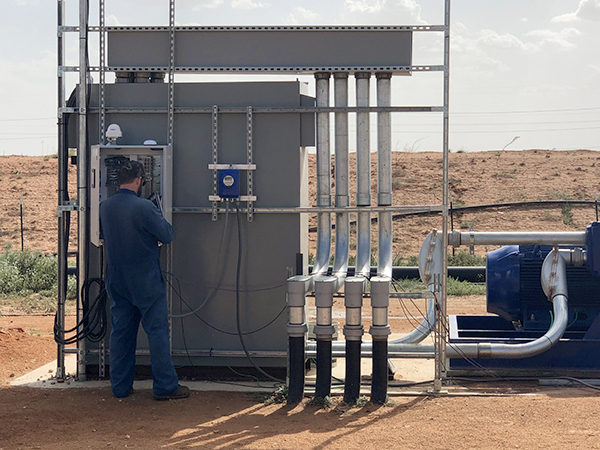 The PumpMate System is a flexible modular Pump Control System that utilizes the same PumpMate Node for each Pump in the Pump String and for Metering Node. 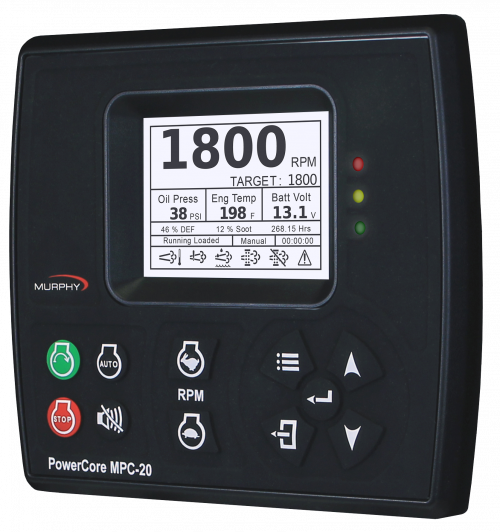 Each PumpMate can be configured to used with Diesel Pumps, AC VFD Driven Pumps, and serve as a Metering Only Node simply through the Color Touchscreen HMI. 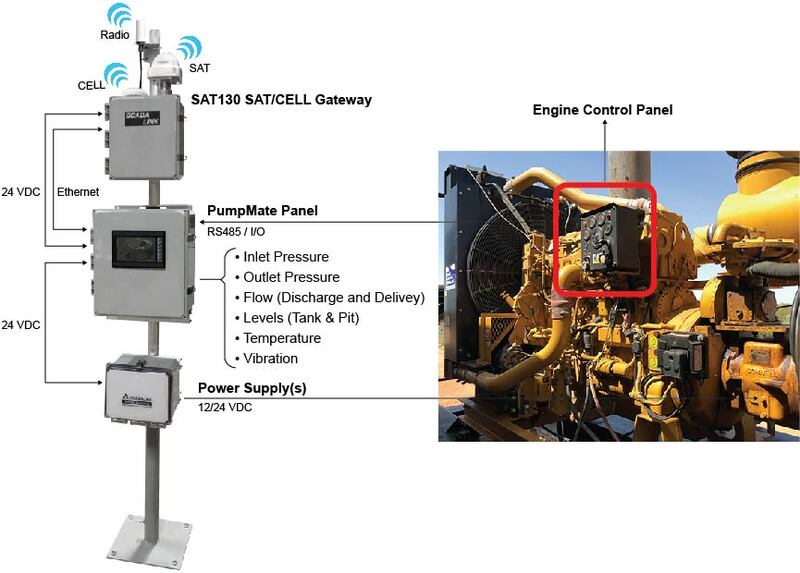 The PumpMate Systems are Modular including the PumpMate Control Panel, PumpMate Power Supply Panels, and a SAT130 Dual Mode Sat/Cellular Gateway as shown. 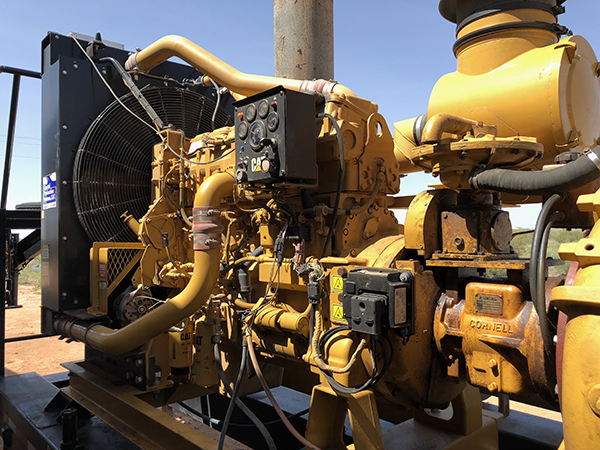 This modularity allows for flexibility, rapid deployment, maintainability, and simplified troubleshooting. 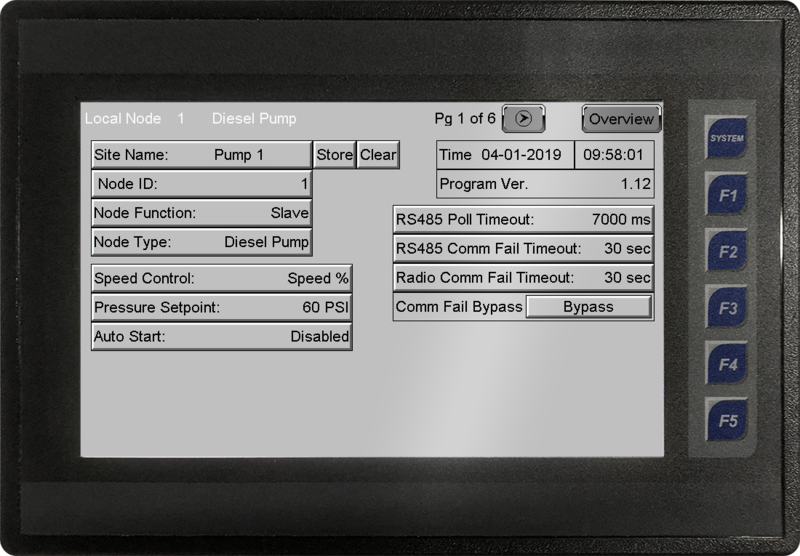 The PumpMate Panel interfaces to Diesel Pump and VFD Drives through a combination of I/O and RS485 Modbus Connection to enable reliable operation. 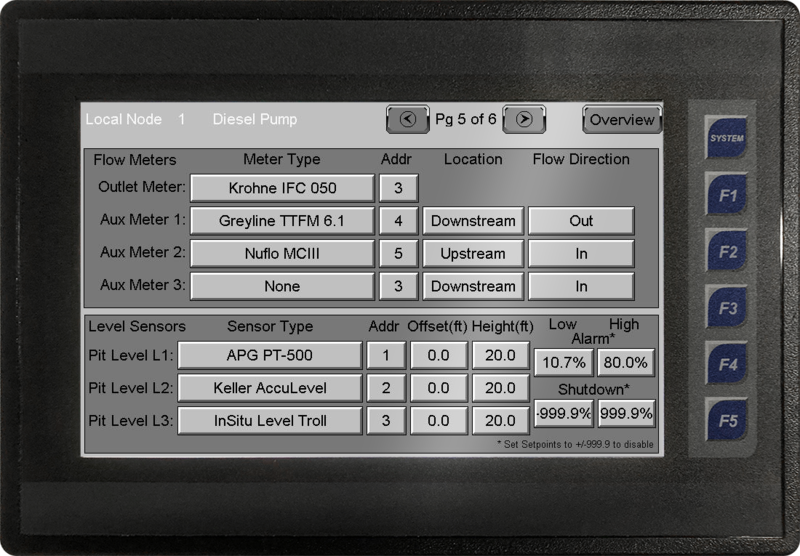 The user interface for a Pump is the same regardless if it a Diesel Pump or AC Driven Pump. 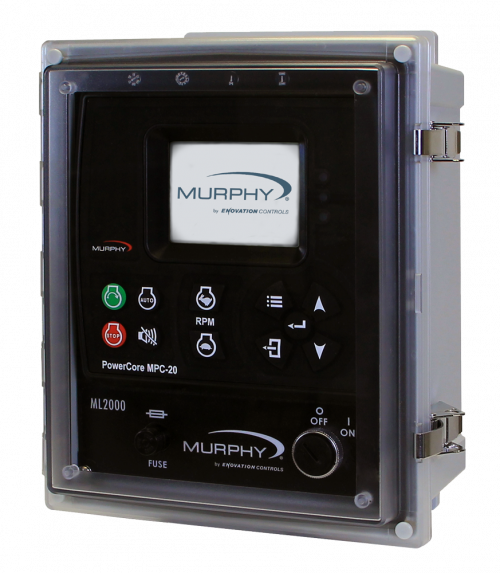 Users have complete Monitoring and Control of the Pumping System and and Pump for any PumpMate Node in the system. 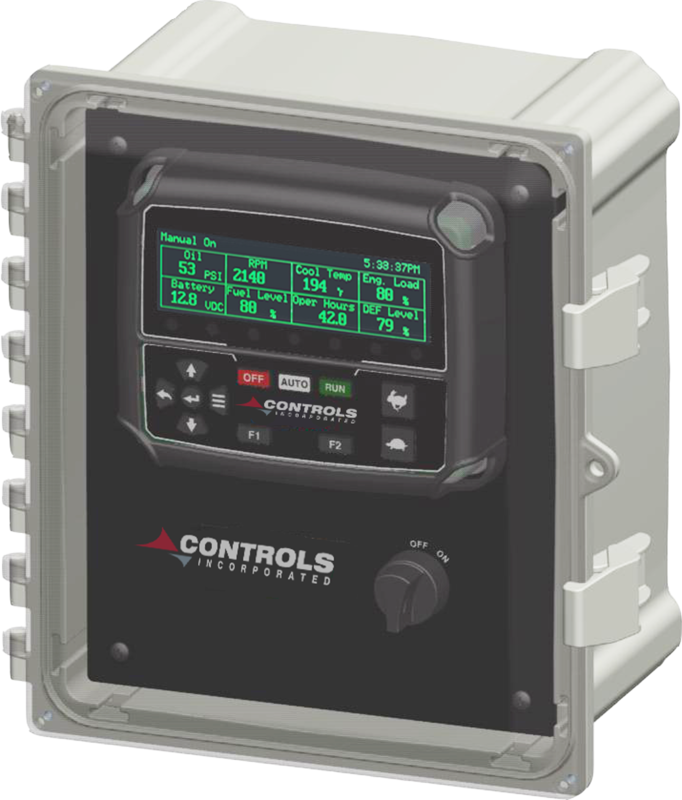 Instrumentation supported include Analog (4-20ma), Digital, or Modbus Protocol based devices. 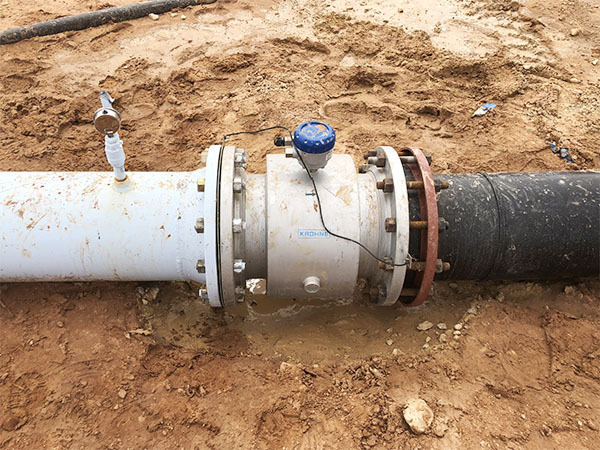 Pit Levels are measured using a vented Submersible Pressure Sensor. 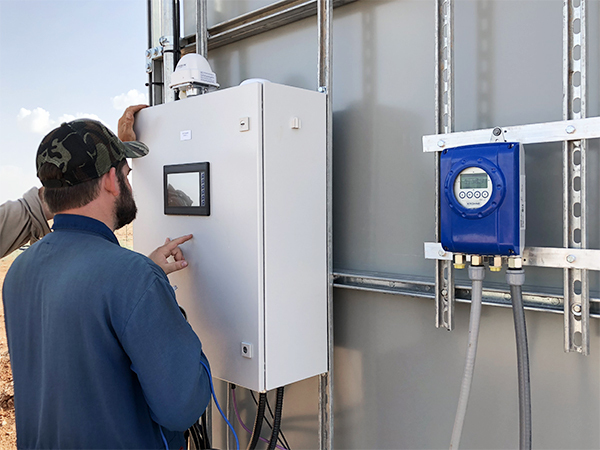 Pit Level Sensors can be connected directly to PumpMate Panels or via Wireless Sensor Nodes. 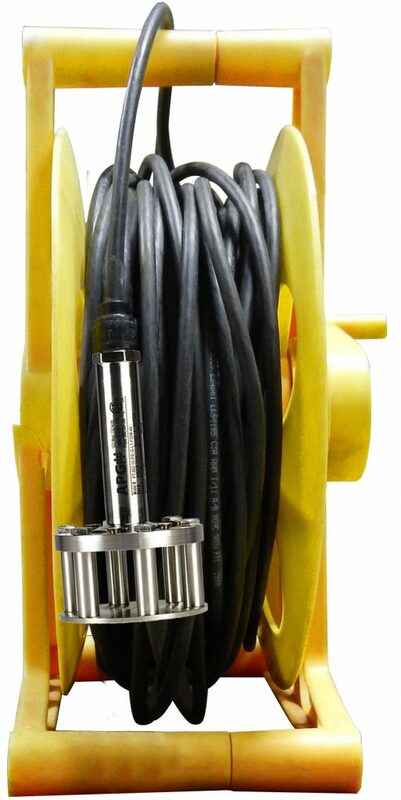 The assembly can be easily deployed by clamping on the C-Ring. 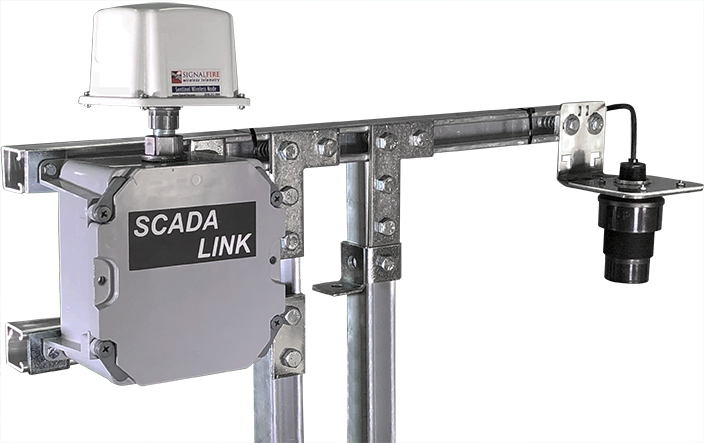 Wireless connectivity minimizes wire damage and clutter in field installations. 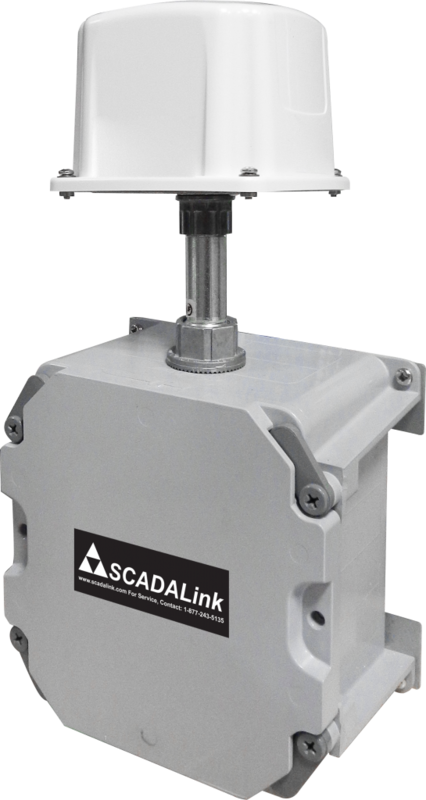 Sensor Nodes can be deployed with wireless Sensor Nodes, where cable lengths are impractical. 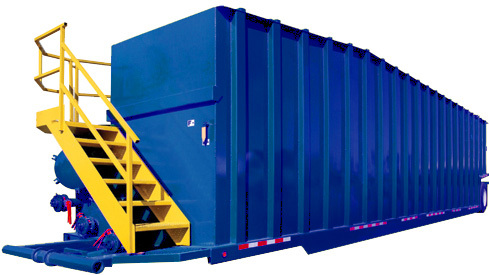 Contact Bentek Systems for price inquiry. 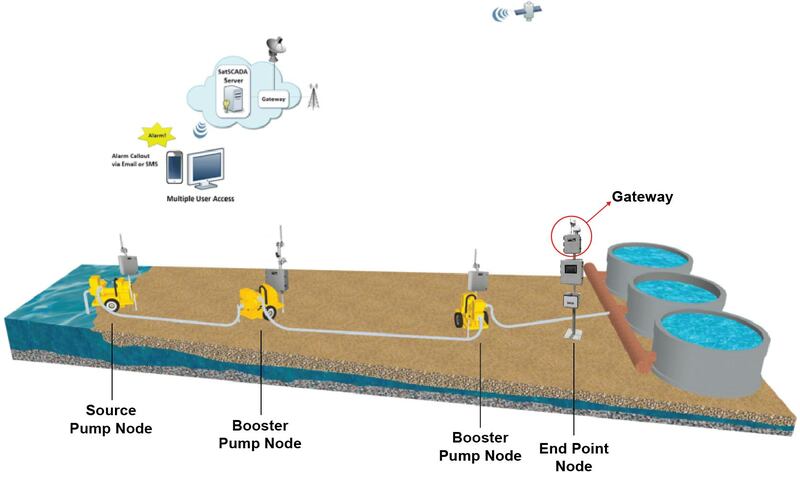 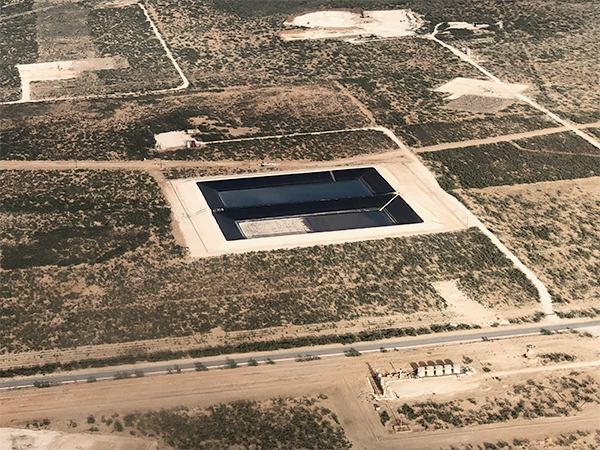 SatSCADA PumpMate is a flexible platform for real time remote monitoring of water transfer operations providing operators, supervisors, and clients complete monitoring, alarming, trending, and reporting.